Super Metroid takes place mainly on Planet Zebes (the same planet seen in the original Metroid; a section near the beginning of the game is taken almost directly from the original game). It is a large, open-ended world with many different areas connected by doors and elevators. 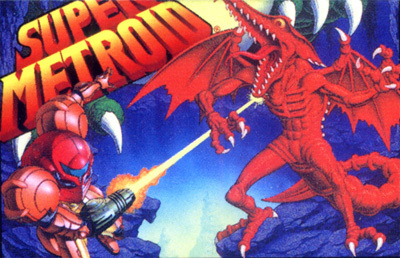 The player controls Samus as she searches the planet's many caverns and varied environments for a stolen Metroid larva, hunting the Space Pirates as she goes. Along the way, the player must collect a number of powerups that enhance Samus's armor and weaponry, as well as granting her special abilities such as her trademark Screw Attack. These abilities allow Samus to access areas that were previously inaccessible, a gameplay element that has become a staple of the series.